Over the past decade, there have been vast improvements in the detection and quantification of proteins using LC-MS methodologies. Advancements in the field of bio-informatics, along with the increasing advantages in the use of stable isotopes, has allowed the development of quantitative methods that are capable of simultaneously measuring hundreds or even thousands of proteins in a given biological sample. The field of MS-based Quantitative Proteomics has matured to a point that it is now routine to undergo quantitative, comparative investigations into the proteome to better understand disease and to search for potential protein biomarkers. Although some quantitative measurements can be made without the use of stable isotopes, the use of labeled samples, in conjunction with mass spectrometry, generally increases the accuracy of the quantitative results; saves time by requiring fewer experimental replicates; and requires less sophisticated and thus less expensive instrumentation. 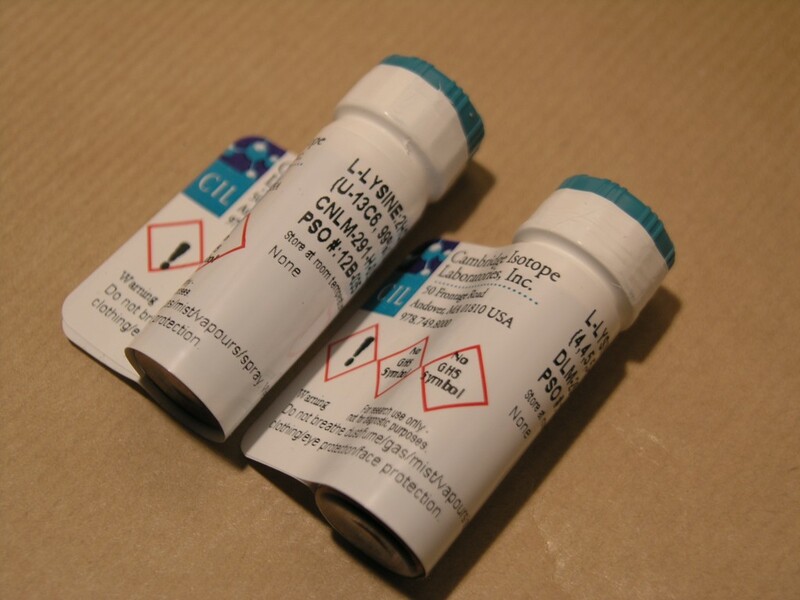 As such, CK Gas Products offers an extensive range of CIL labeled products for use in this field. In addition to the full catalogue, we have broken the product category down into a few key spotlight areas.